We are very proud of our independently owned music shop in Leamington Spa. We are considered to be one of the country’s premier sources of sheet music, classical CDs and DVDs, instruments, and accessories. Our staff are all musicians and music lovers with a wealth of knowledge and experience; between them they can assist you with any query. We also work closely with experienced instrument repairers. We have strong ties with local teachers, schools, choirs, and performers, and are passionate about live music. 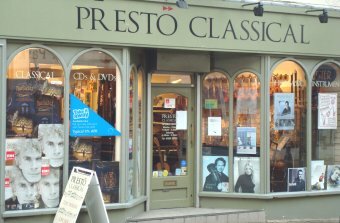 For several years we have sponsored classical music events in Leamington Spa, and we also host a regular live music evening in the shop for our customers.